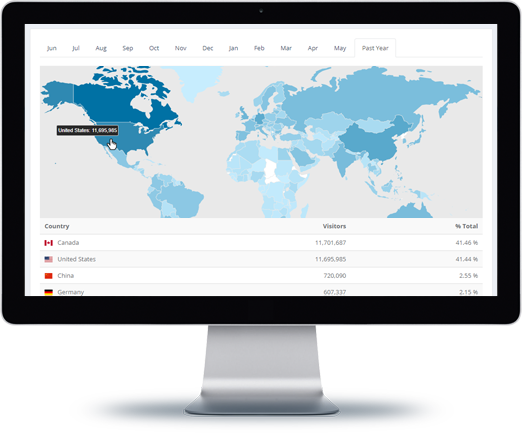 Live tracking of your website visitors, with detailed statistics and graphical charts. Hundreds of on-page counters to choose from. Get Counter Stats for FREE! Keep track of where in the world people are coming from to visit your website. And Visitor Heat Maps show heavy traffic from various regions. Monitor what websites are referring you traffic in real time. 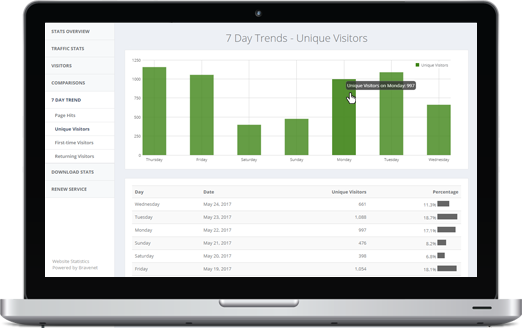 Real-time site statistics means that you can watch as people visit. Easily resolve visitor IP addresses to hosts as needed. Looking for a Website Hit Counter? Bravenet has hundreds of counters to choose from, of every style and color. Take a look back up to 5 years. 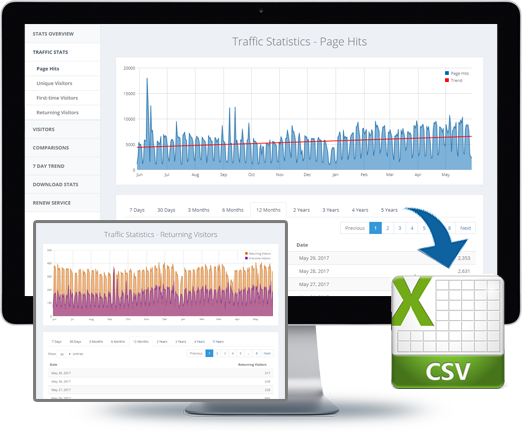 See how your traffic has changed and look for annual trends. Compare historical page views, returning visitors and unique new, first-time visitors. Download to Excel Spreadsheets or CSV format as well. View a breakdown of your traffic by weekday. Doing your Email Marketing on the right days of the week is very important for success. 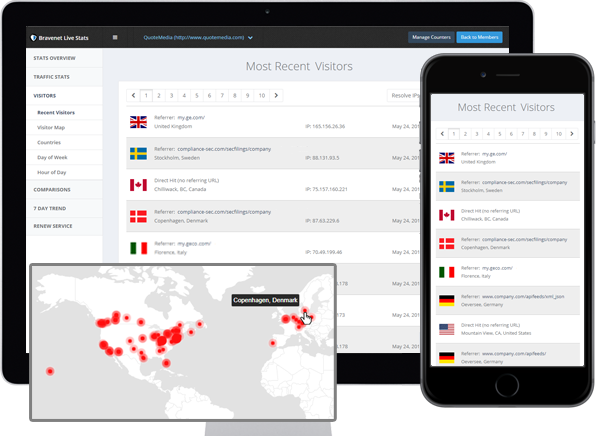 Monitor new visitors and returning visitors. ready to export to Excel. where most traffic comes from. 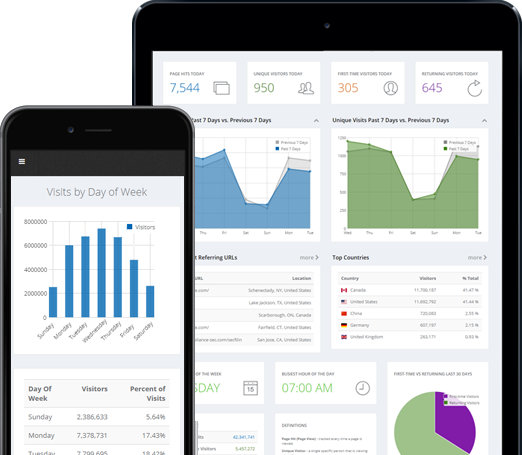 Real-time visitor tracking and reporting. Register for Live Site Stats. It's FREE!